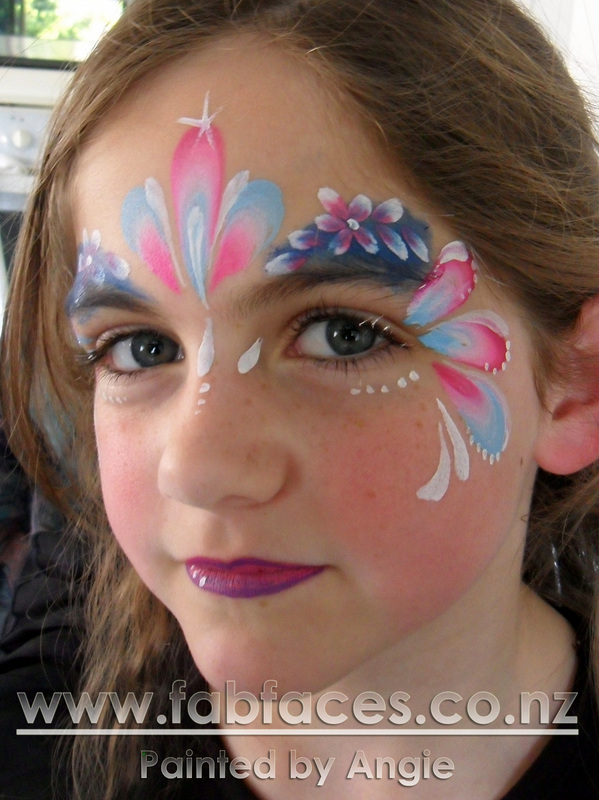 I've been facepainting since the Rugby World Cup in 2010 when I was pulled in to assist with the masses of fans desperately needing to show their support in the most colourful way possible. With a background in makeup and painting on canvas I was able to learn on the job and pick designs up relatively quickly. 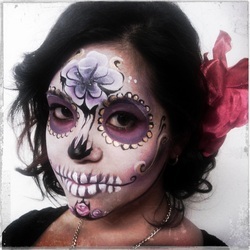 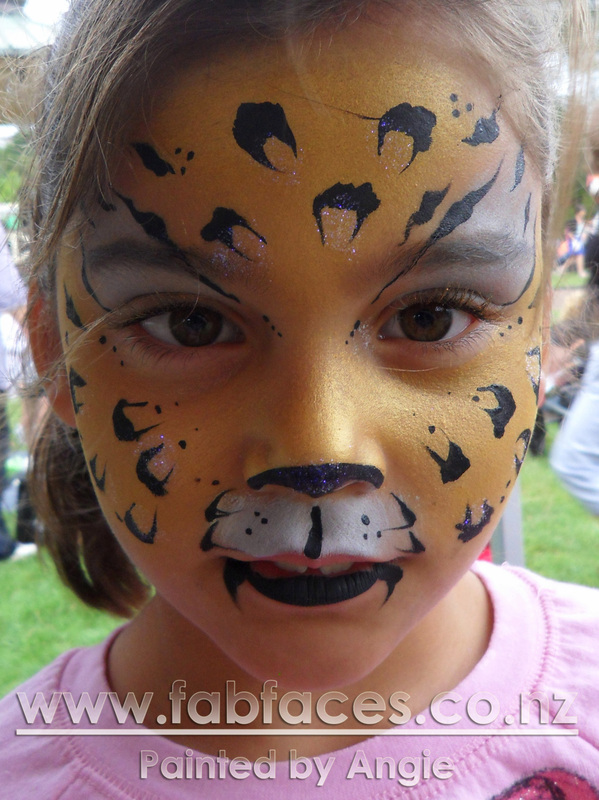 Since then I've been teaching myself, trained and enjoy designing my own face paints for children and adults alike. 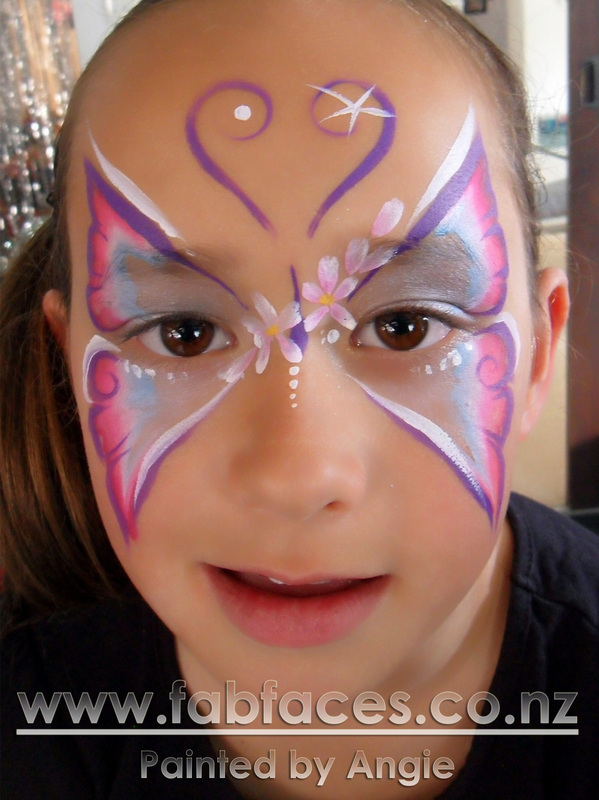 I enjoy being as creative as possible, always evolving my designs and making them different. More and more, I'm extending my work into full body paints and the painting of pregnant bellies... but I still love working with kids at parties. 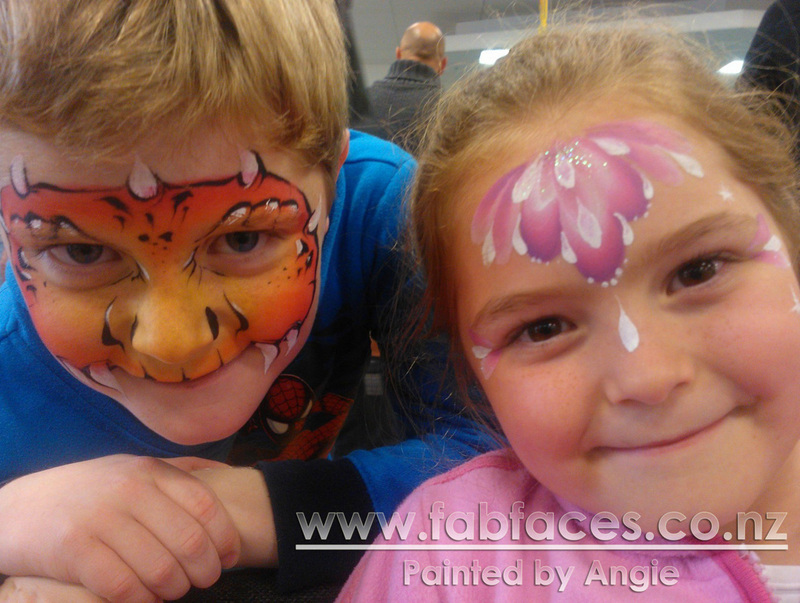 That smile when they see their face in the mirror just makes my day! 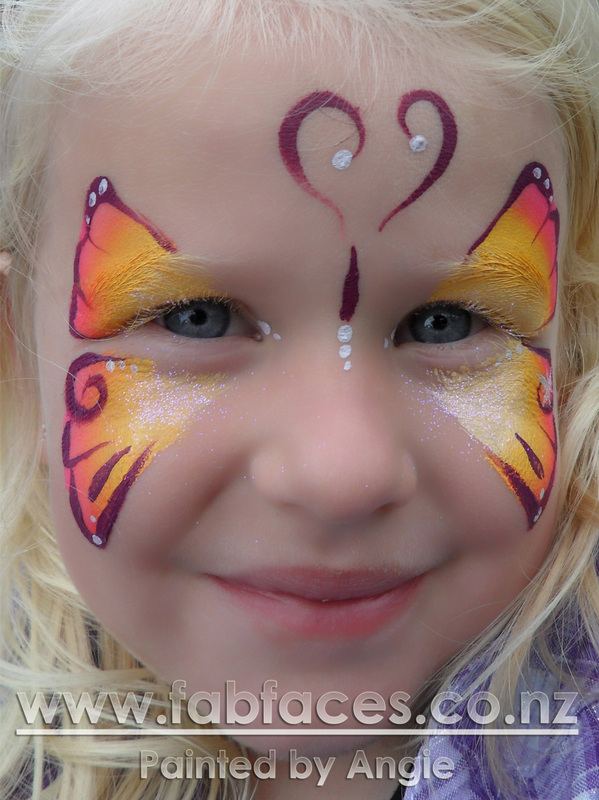 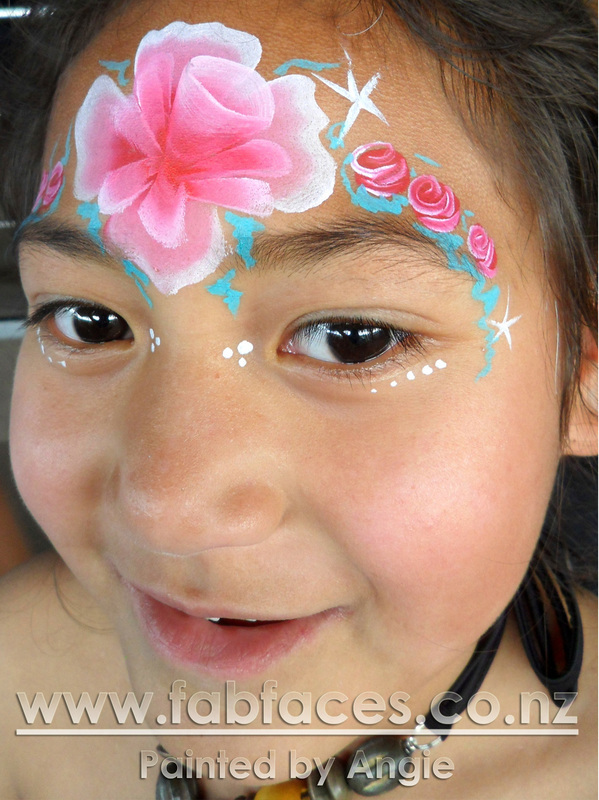 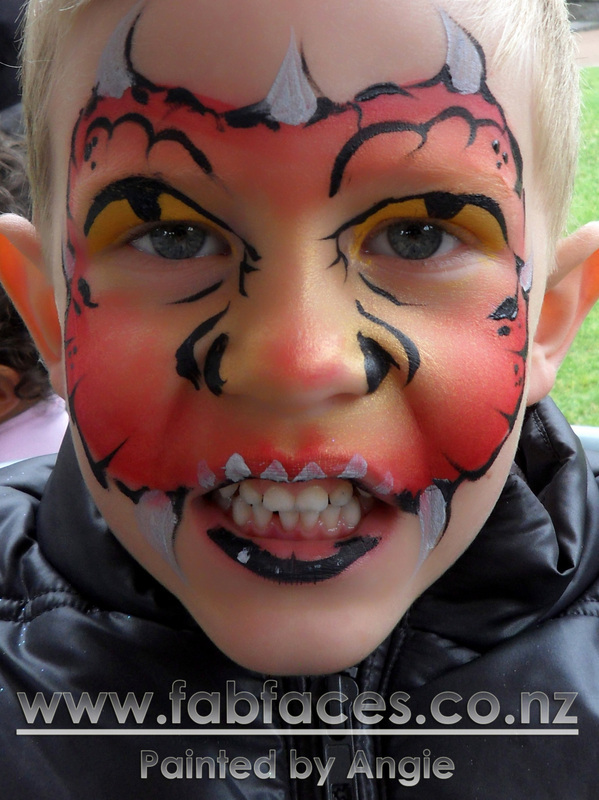 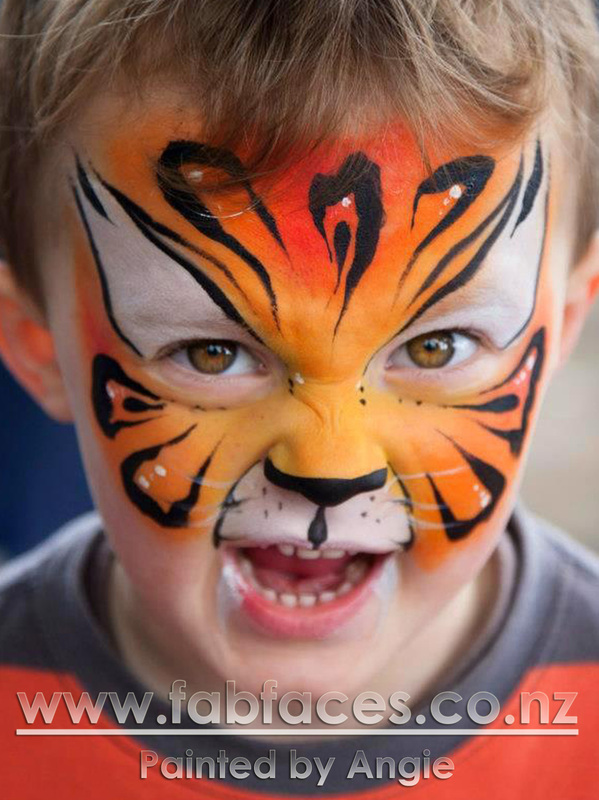 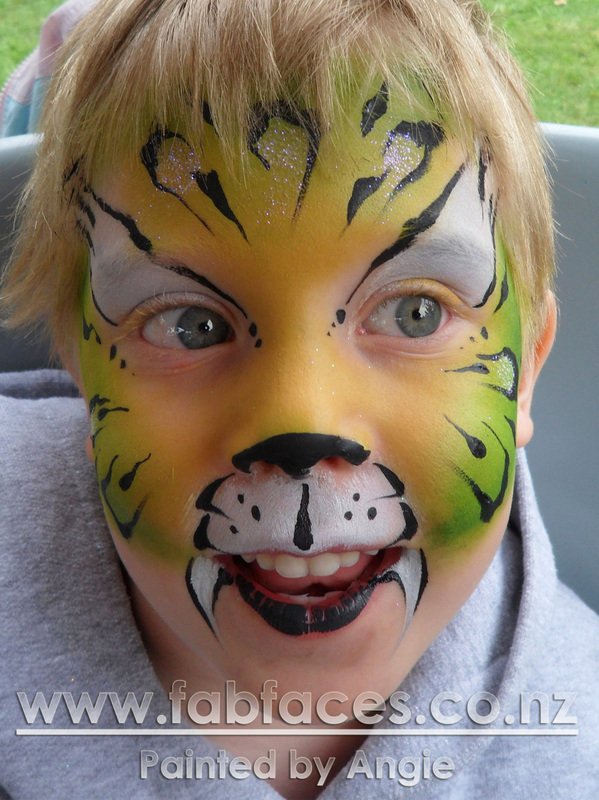 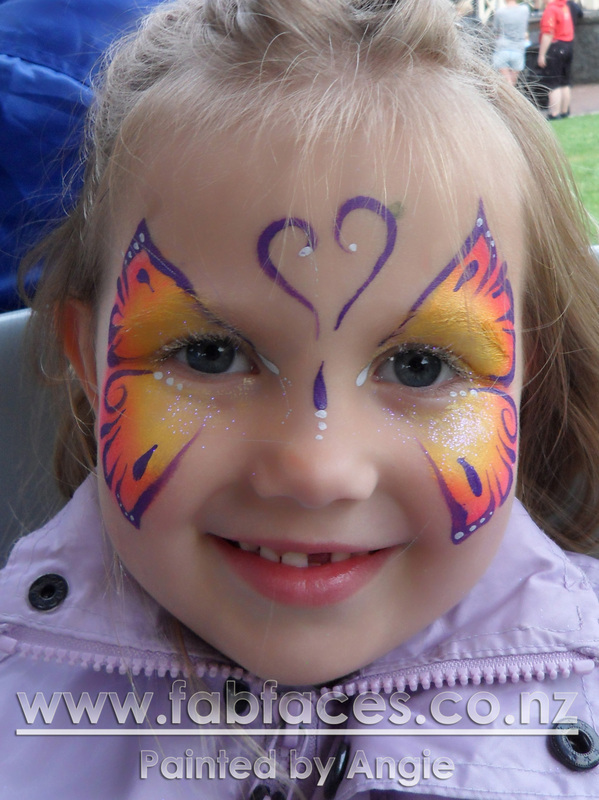 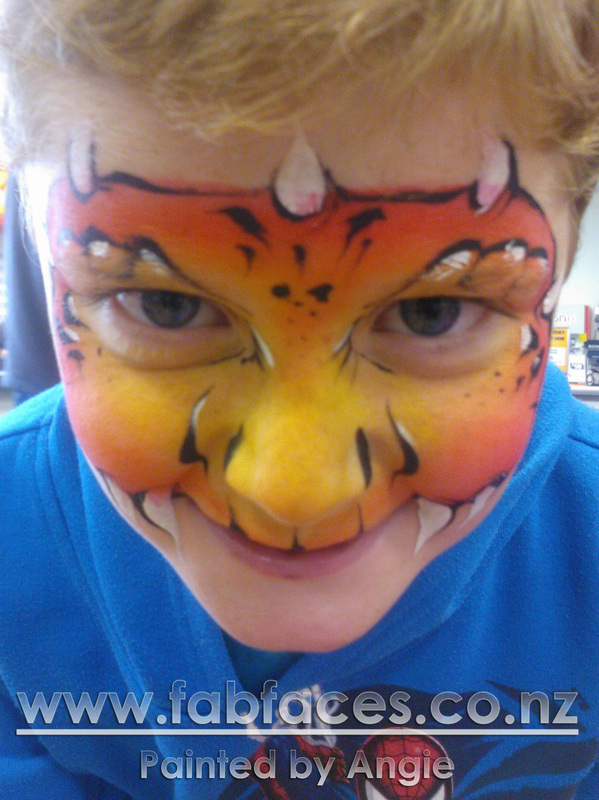 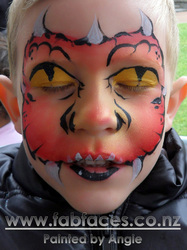 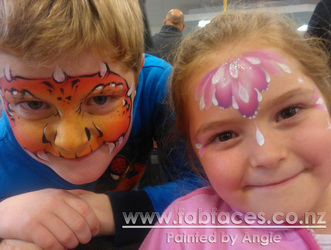 We had Angie face painting for us at a recent function. I just wanted to pass on that she did a fantastic job and that we were really pleased with her work. The kids loved the results, as did the parents. 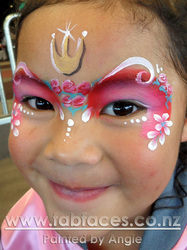 She was kept busy with lots of kids lining up but kept everyone happy, and the results were awesome..